I was so freakin' excited to hear about these, and literally squealed in HyVee when I saw them out of the corner of my eye. Mr. CookingOnSkates-Breakdown wondered what the hell was wrong with me, but allowed me to pull him toward the freezer case. 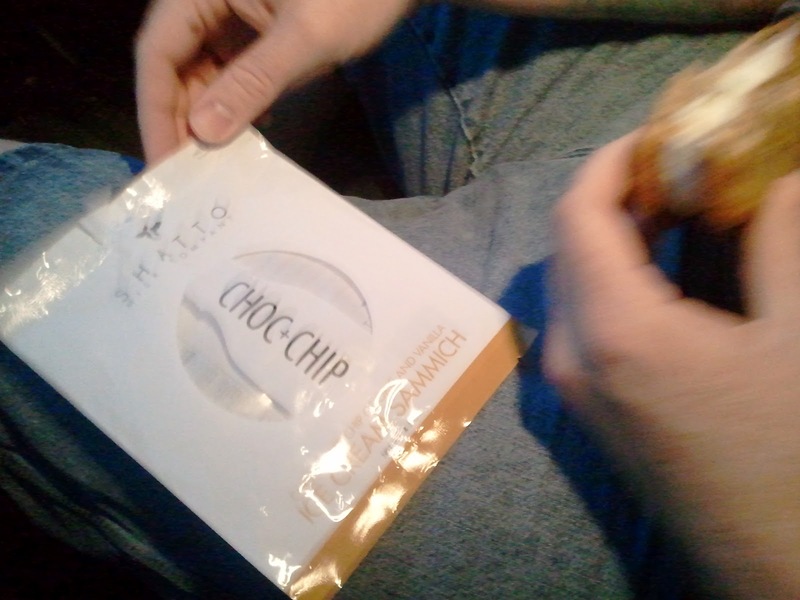 Like good fat kids, we split this as soon as we got to the car and loaded the groceries into the trunk. 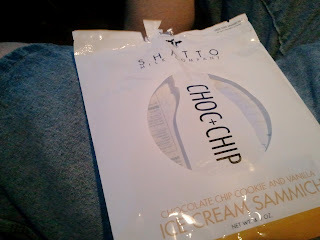 His take: "I want to love Shatto ice cream but don't think I really do." My take: "Meh. Tasty, but not worth $4+." In the future, I'll probably make my own famous chocolate chip cookies and top them with some minimal-ingredient ice cream other than Shatto. Probably some Haagen-Dazs Five or something. I love that these only have a few ingredients listed and they're all real food items, but I'm not smitten with the overall product. Sorry, Shatto. I still love you!